A nature theme informs the interior design to create a calming, soothing atmosphere. 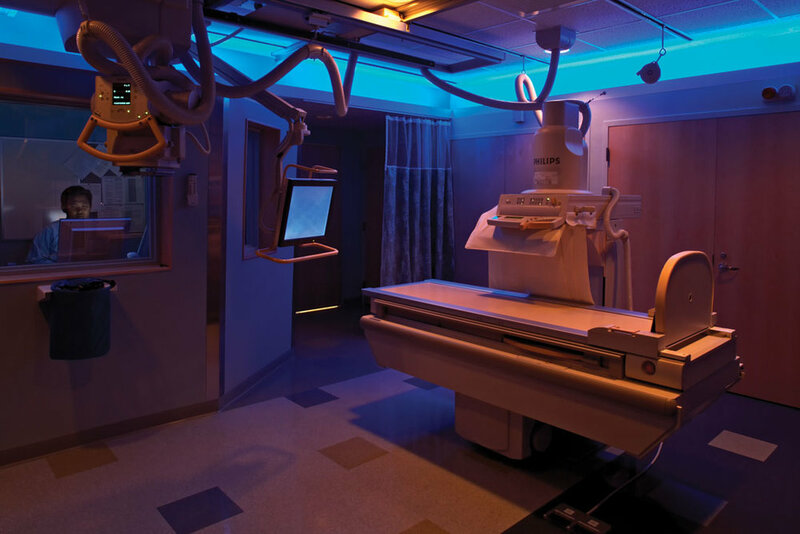 The Imaging Suite's earth tones invoke “forest” surroundings. In the reception and waiting areas, structural columns appear as tree trunks reaching up to the clouds above, and elliptical ceiling panels suggest a scattering of leaves overhead. Part of design team for Radiology suite as part of a larger Master Plan.